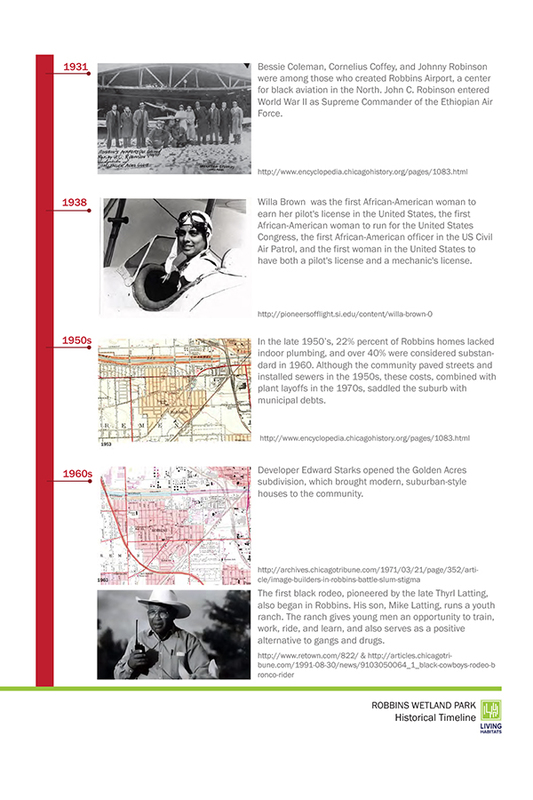 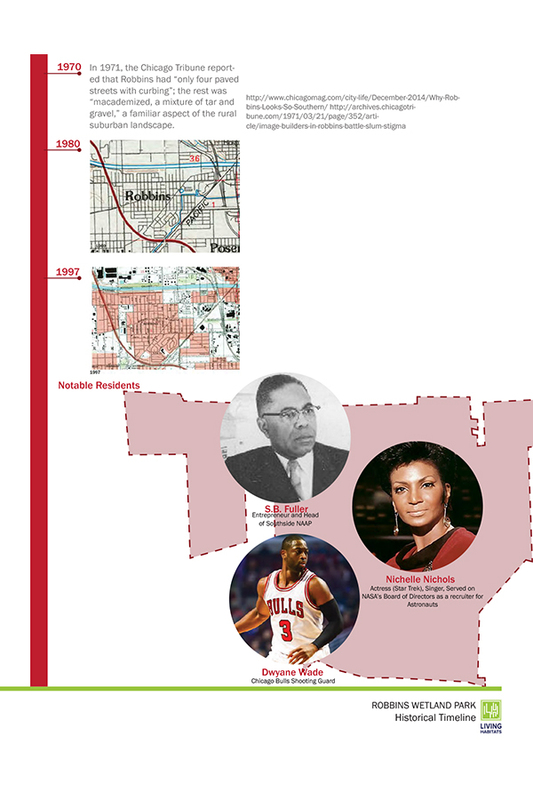 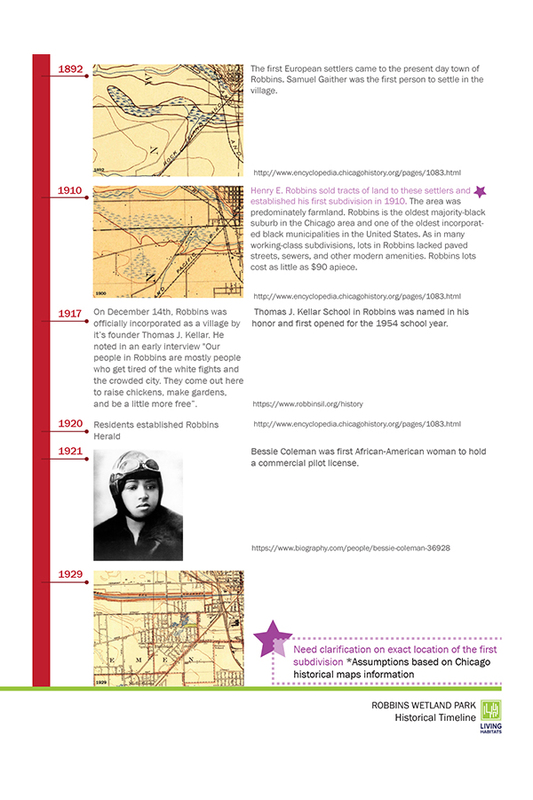 The Village of Robbins is a historic African-American community located in southern Cook County, Illinois. 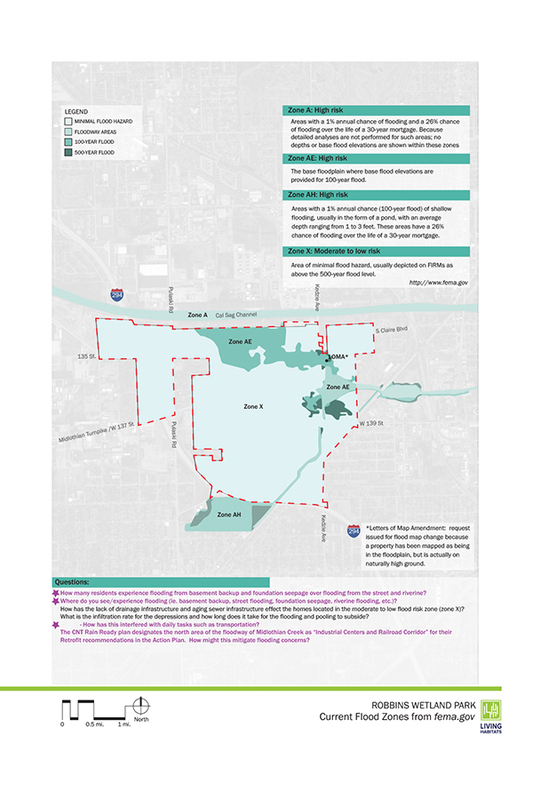 Located along Midlothian creek, flooding is a persistent threat during storm events impacting over 100 homes and several of the main roadways through the Village. 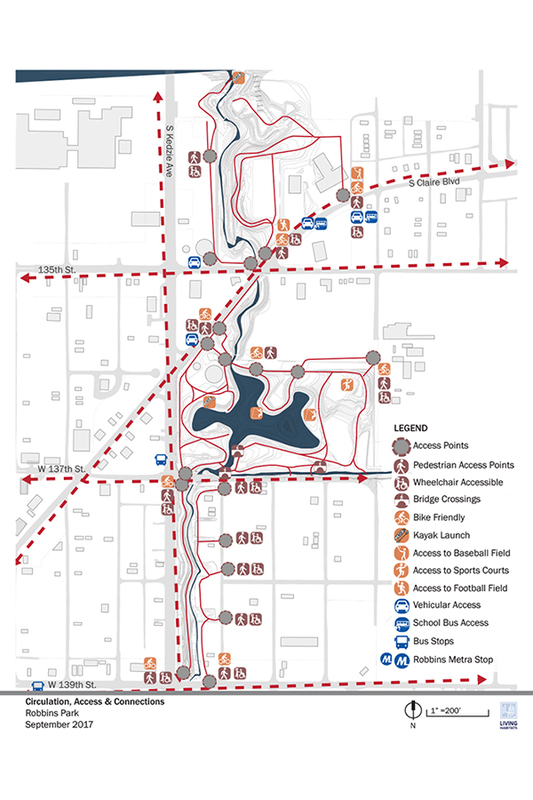 Solving the flooding issue is of paramount importance in order to see the resurgence that the Village is primed for. 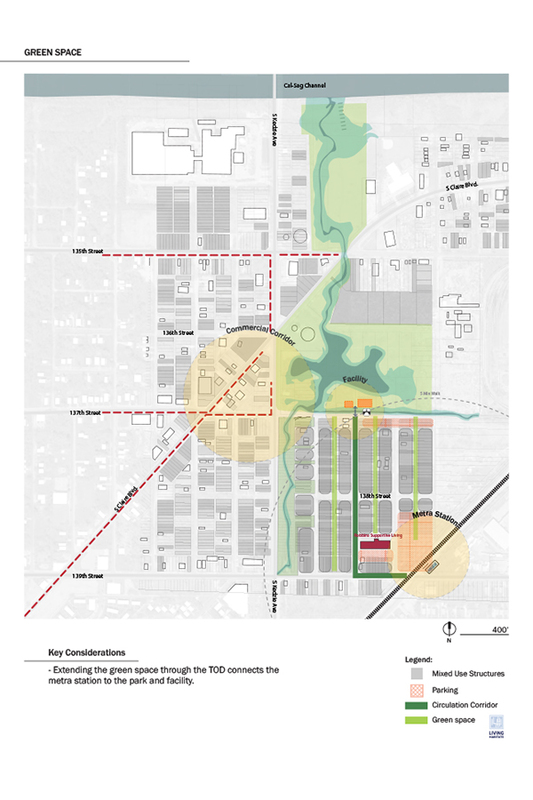 Working with the mayor and residents through a series of public meetings, the design team identified a list of design principles and a strategic plan that solves the flooding without displacing and of the existing residents. 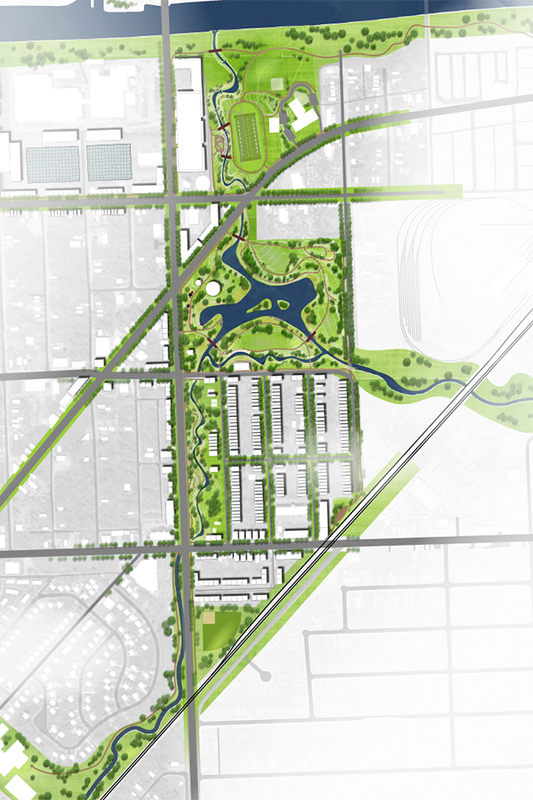 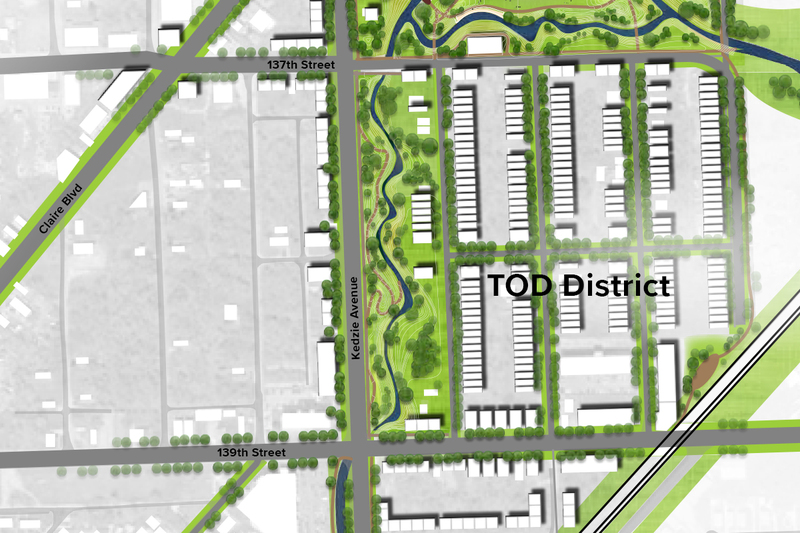 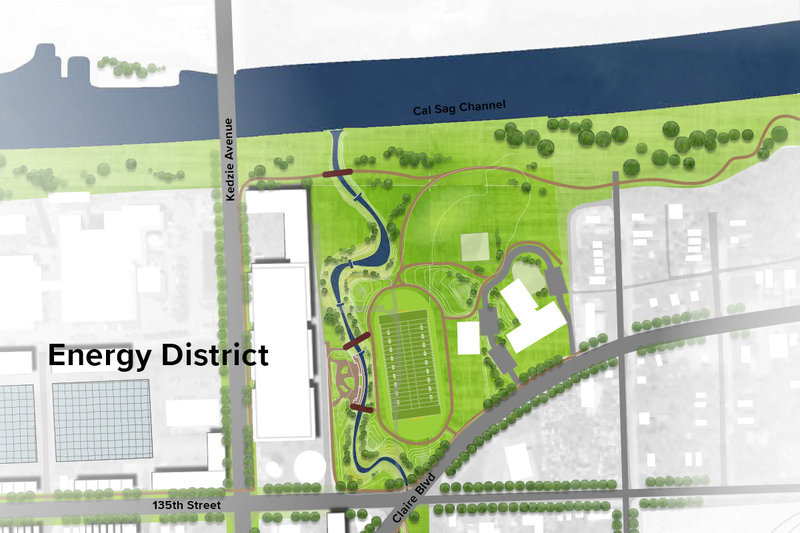 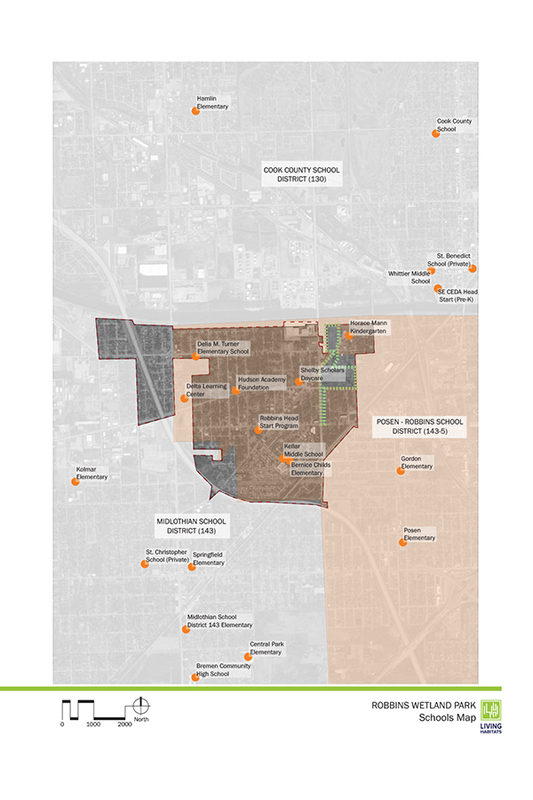 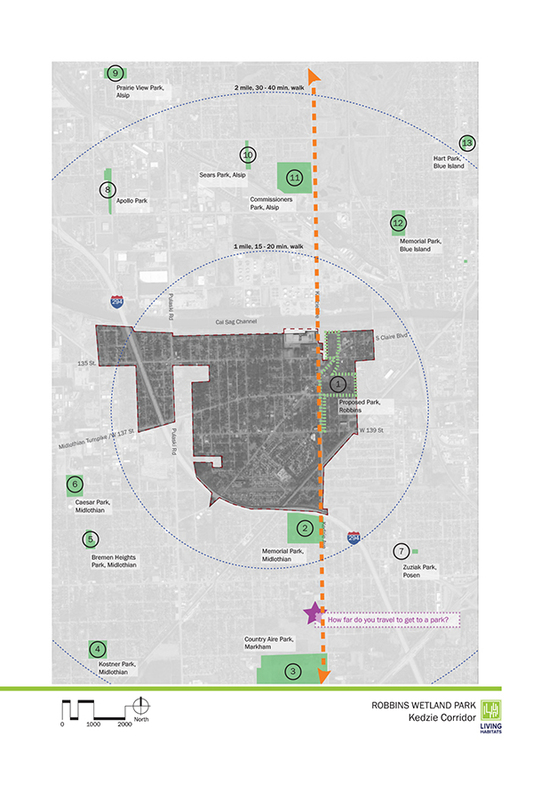 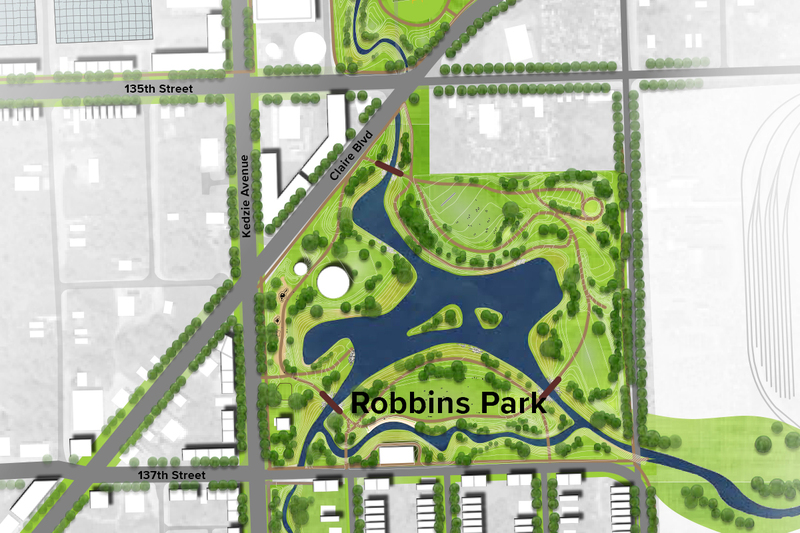 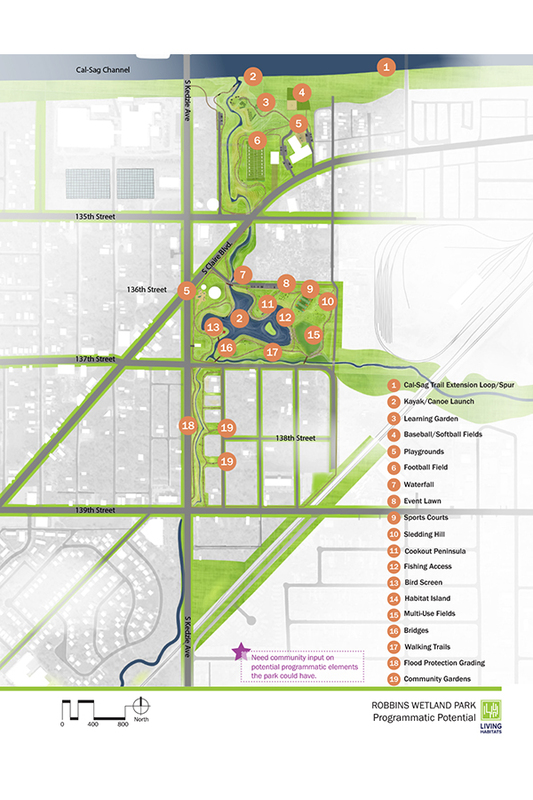 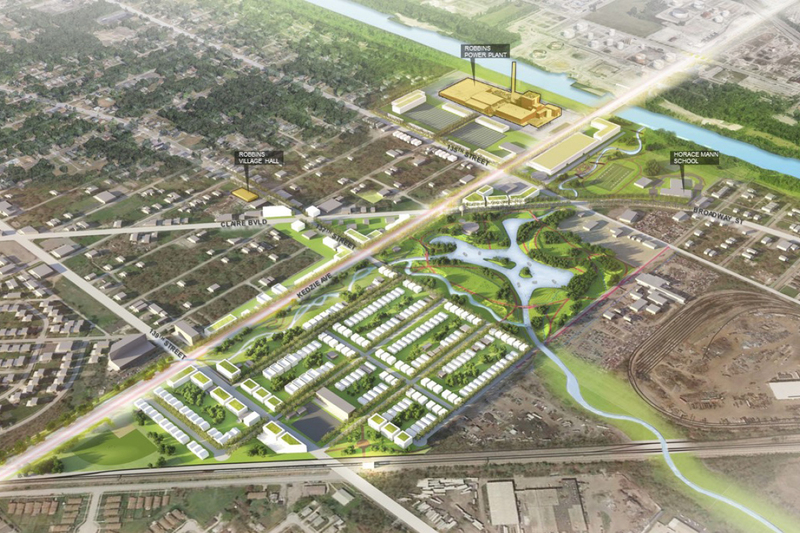 The vision begins with a stormwater management solution built within a park that unlocks the potential for a Transit-Oriented Development District around the local METRA station and an Energy District located along the Cal Sag Channel. 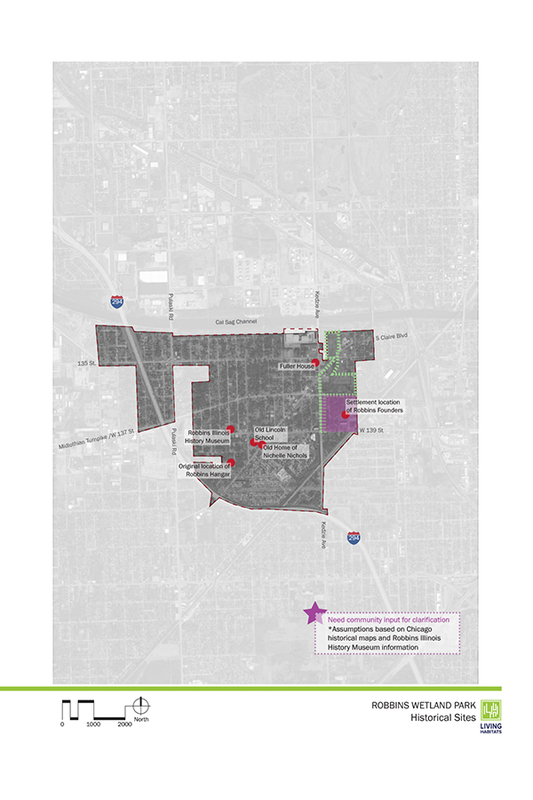 The strategy has been lauded as both bold and innovative with the potential of serving as a roadmap for other communities in the region.